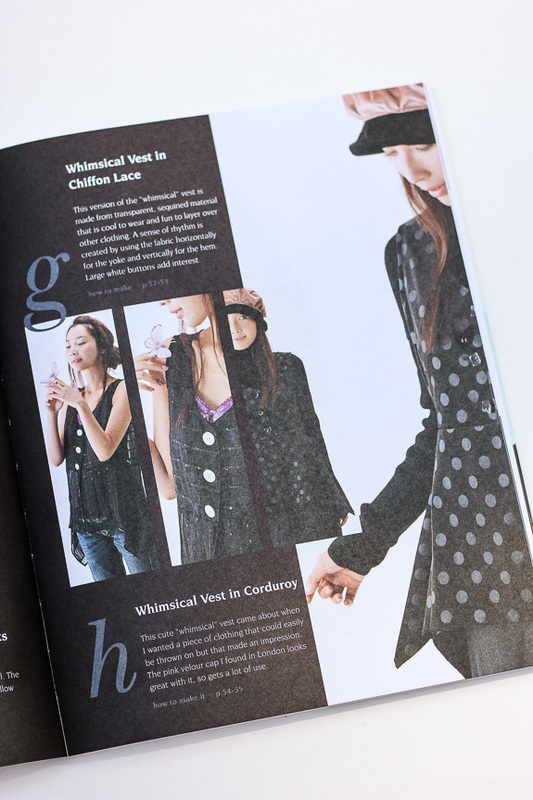 Let’s face it black is a staple in every wardrobe. It’s slimming. It’s classic. It goes with just about anything. 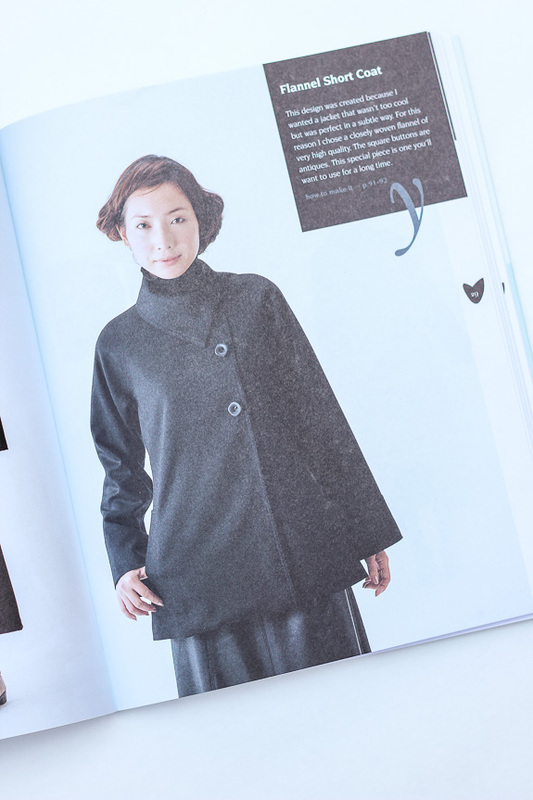 The latest Japanese sewing book, Basic Black by Sato Watanabe, released by Tuttle publishing celebrates all things black. 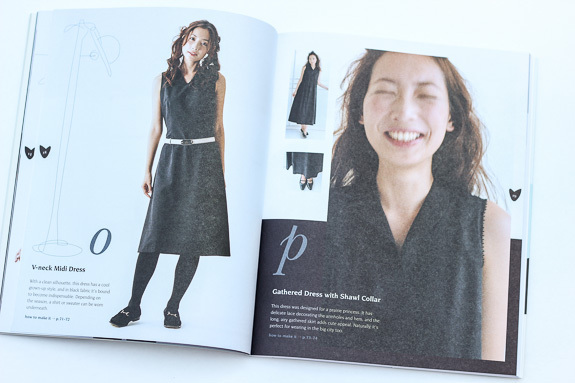 Of course, you could make any one of the 26 patterns included in any color you’d like, but I love the variety of patterns and textures the book features while sticking to the basic black. 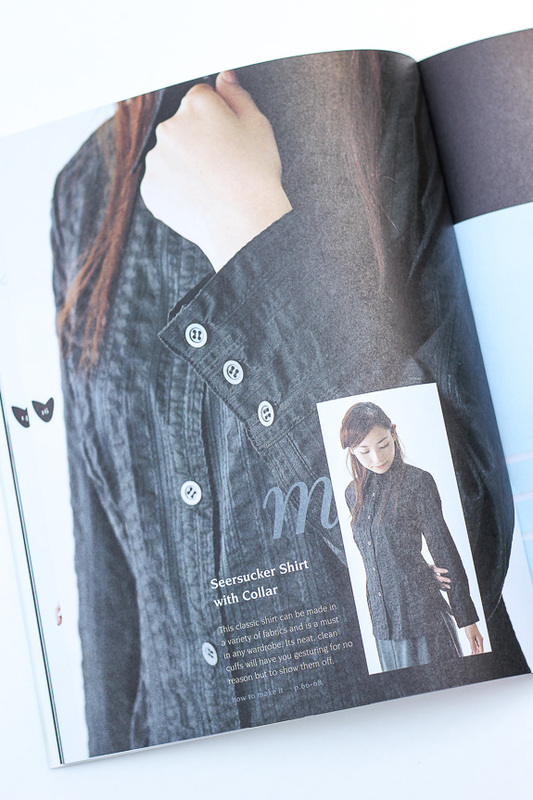 The button up shirts below show some of the more fitted silhouettes available in the Basic Black book as opposed to the usual loose fitting Japanese styles. 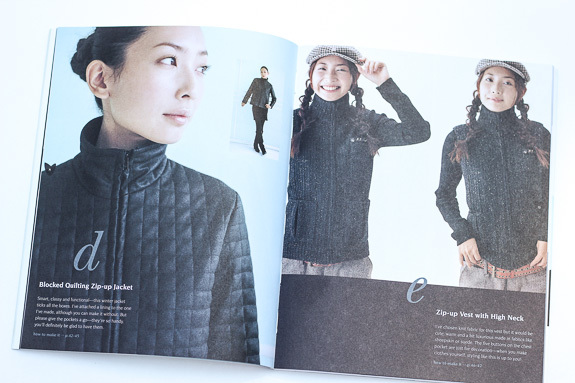 This jacket and vest are two of my favorites in the book. Talk about fun textures! There’s actually quite a variety of jacket options from blazers to long overcoats. 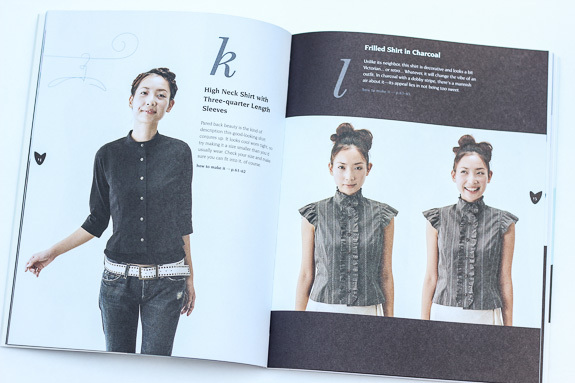 I love how the book shows the same pattern here in two fabric options giving two totally different looks with corduroy or chiffon. The diagrams really make the pattern details stand out. 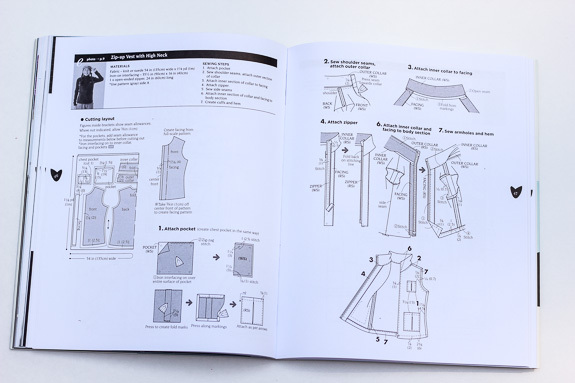 As with all Japanese pattern books that I have used, the directions for sewing are minimal, but the diagrams fill in the gaps. My one complaint about the books is the sizing seems a bit tricky. 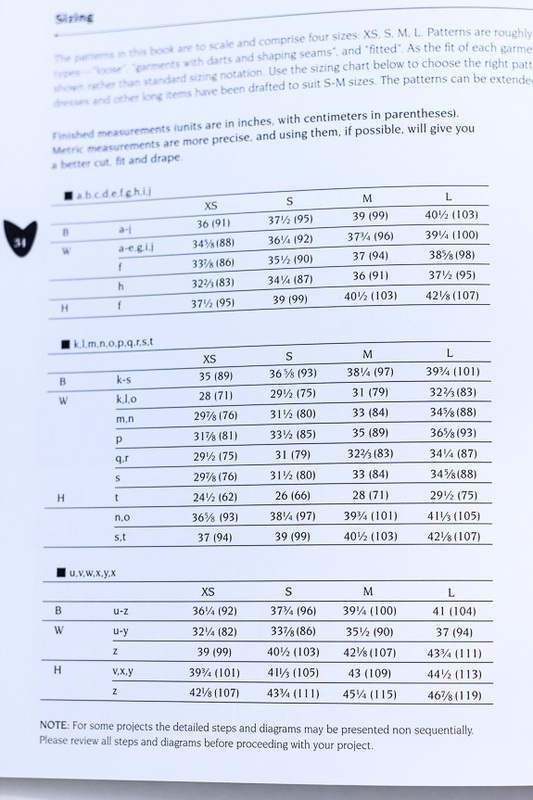 Sizing options are broken down into three categories noted as “loose”, “garments with darts and shaping seams”, and “fitted”. 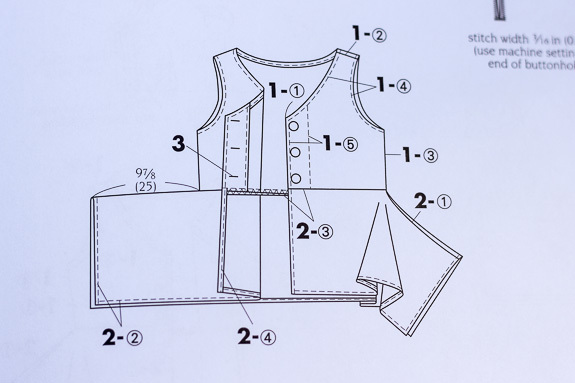 The finished size is shown, so you would need to use your measurements and account for the wearing ease you would like. 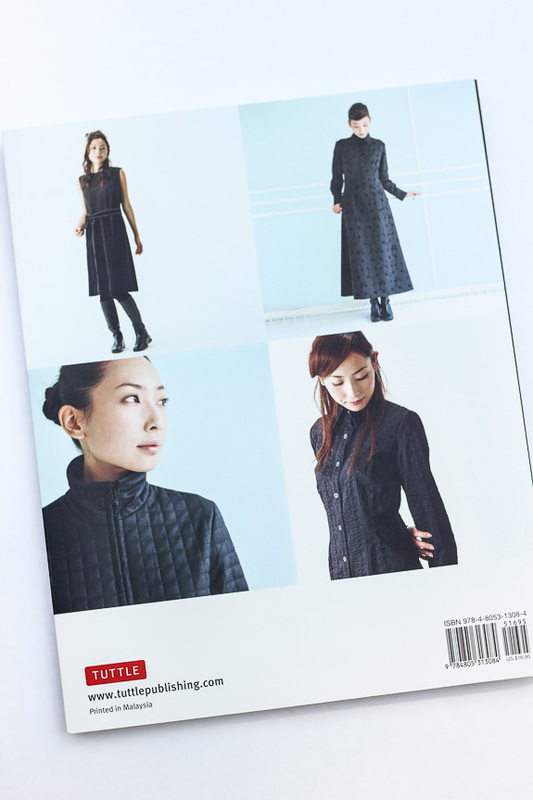 All in all, I think this Basic Black Japanese pattern book is a great addition to your sewing library. I can easily pinpoint 3 or 4 patterns I’d like to try! 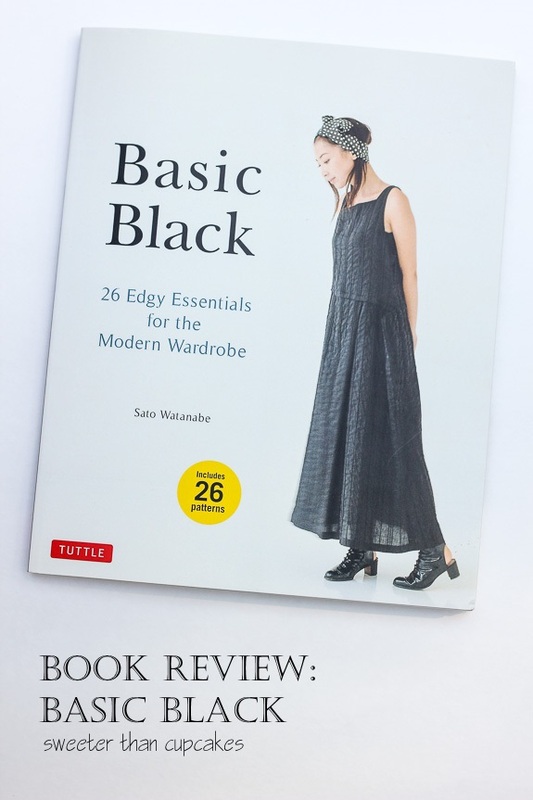 I received the book, Basic Black, for free from Tuttle Publishing. All opinions provided are my own. 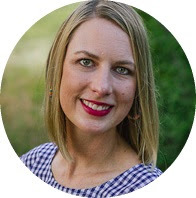 I will only recommend products that I would use personally and are good for my readers.